The significance of teamwork for the development of the organisation, particularly from the small and medium-sized enterprise (SME) sector, is immense. Experts have no doubt about that. “Well-organised teamwork makes it possible to use the potential of each company’s human resources more efficiently. Working in a team motivates people to act and helps limit losses. In a good team, it is easier to identify the weaknesses of the given project or bottlenecks in processes and to build strategies aimed at making optimal use of the given organisation’s potential,” says Michał Śmiałowski, psychologist and coach at MindLab, accredited consultant for Insights Discovery. Even though in the management process organisations often focus primarily on their tangible assets as the most crucial for building the company’s competitiveness in the market (entrepreneurs often consider investments in a machinery park as less risky and more justified for the business than investments in the development of their employees), numerous studies confirm that what determines the market advantage of the largest organisations in the world is their human capital. “This is due to the fact that each organisation’s intellectual capital is very difficult to recreate or copy. The uniqueness of the complex configurations that employee teams are is basically impossible to acquire or replace. Expertise, knowledge, and experience that build the organisation’s advantage lie in its culture, teams, management systems, the employees themselves and the relationships between them,” observes Beatricze Andrzejewska, PhD, Vice-President of the Board in Charge of Programmes at IBD Business School, Programme Director at the Leadership and School for Business Trainers Expert Centres. 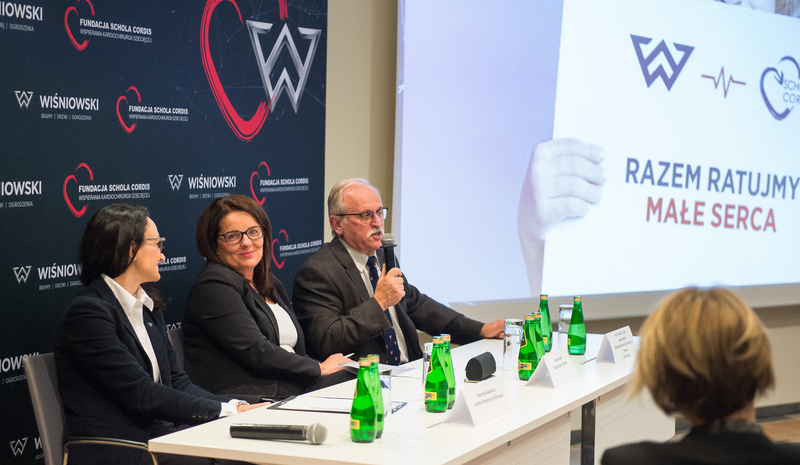 Both across the world and in Poland, we notice the constantly growing significance of teamwork and project work, which largely results from ongoing technological progress and entrepreneurs’ more flexible approach to the existing organisational structures. “This is also manifested in the fact that employers increasingly expect competence in emotional intelligence from their employees, which is the ability to correctly interpret the emotions of other team members. This is crucial for effective execution of tasks within the group, as in this case, success depends on being open to the needs and expectations of all the team members and the atmosphere of mutual respect,” says Zofia Nowak, PR Specialist at Hays Poland, a company offering personnel services. In order for teamwork to be implemented at a company, it is essential to constantly create favourable conditions for it. In this context, the role of the managerial personnel is extremely important. “Managers are responsible for setting out clear rules and creating an atmosphere in which everyone in the team knows their goals and the goals of their colleagues. And at the same time understands the interrelationships between their own and others’ work,” emphasises Michał Śmiałowski from MindLab. Efficient teamwork is a popular subject of training courses offered by many companies. Is it possible to learn effective teamwork through these courses? They will surely teach us the most important principles that should guide team members and managers, but it is worth stressing that it is above all regular daily work on actual projects that makes it possible to gain and develop practical skills necessary to work efficiently as a team. Also in this case, good example should come from the top. Many managers ask themselves what methods work best for motivating people and teams to work together. According to Beatricze Andrzejewska, PhD, the so-called empowerment is an important tool in this context. “The term means authorising each team member to make decisions and changes, also in terms of taking the initiative in pinpointing the weaknesses of procedures and regulations. This leads to an increase in responsibility and initiative on the part of the employees, and consequently, greater cost awareness, increased effectiveness, improved relations within the team, and so-called one voice – consistency in all the activities in the organisation aimed at bringing real value for the customer (moving from responsibility for the product or service towards responsibility for delivering values important to the customer). It requires allocation of actual power in decision making, which is facilitated by tools teaching people mutual support without the need for assistance from external experts,” she explains. In order for this to be possible, it is worth creating a proper framework, within which there will be a clear segregation of duties and procedures organising cooperation. “Good relations do not prevent conflicts between employees or departments if, due to the lack of standards of behaviour, a crisis situation occurs in the company. Apart from the clearly specified principles of cooperation, organisational culture defining the preferred forms of communication is also of great significance,” remarks Zofia Nowak. What determines the growing popularity of project teams is the fact that thanks to them, companies can implement innovative solutions and carry out their business development plans more quickly and effectively. This is possible primarily because these teams comprise employees representing different departments and professions. “In large companies, project work supports the exchange of experiences and sharing best practices within a broader circle of people. In companies from the SME sector, with fewer employees, teamwork is an effective tool for building relations, and thus also the foundations for the organisation’s further development,” stresses Zofia Nowak. Thanks to teamwork, the company’s employees are also able to better understand their role in the organisation, learn about the principles of operation of other departments, and have actual influence on the improvement of the efficiency of executed processes. “Carrying out various tasks, employees often assume the perspective of their own department only, equating its interests with the interests of the entire company. Access to the knowledge of employees from a different department and exchange of information with them leads to the broadening of this perspective, and as a result, decisions made by the team are optimal for the whole company,” remarks Przemek Gałek, psychologist and coach, Training Game Department Manager at MindLab. In the context of the challenges related to teamwork, the generation gap is also worth mentioning. As observed by Zofia Nowak, five generations of workers will soon function in the labour market at the same time, which may provoke certain problems, primarily in the area of effective communication. “Research dedicated to characterising the generations functioning in the labour market shows that young employees expect direct forms of communication and quicker responses. Older generations in turn often communicate in a more formal manner and they sometimes adjust the form of communication to the other person’s position in the hierarchy,” says the Hays Poland expert. And even though the age difference may be a source of conflict in the team, it is often invaluable as well, making it possible to achieve balance in the approach to solving problems and challenges faced by the team. Combining all the differences between team members and deriving actual benefits for the company from them is possible only when the management consciously builds a culture favouring dialogue and openly shares the limits and capabilities of each employee, and readily organises work based on diversified employee teams. One of the key benefits of effective teamwork for the organisation is efficient knowledge management within the organisation. “Sharing knowledge/expertise is extremely important in the case of generational diversity within the teams (older members pass on knowledge to the younger ones and vice versa, each generation does it in a different dimension). Such intergenerational exchange and exchange of various types of expertise in the organisation, stimulated by mentoring processes, secures important and often so-called hidden knowledge in the organisation. This non-formalised knowledge, which we will not find in the organisation’s procedures or know-how, determines each company’s competitive advantage in the market,” sums up Beatricze Andrzejewska from the IBD Business School. In the case of the youngest people functioning in the labour market (generations Y and Z, born in the 1980s and 1990s, respectively), it is worth noting that cooperation should be attractive to them and involve engagement. Motivating these people to cooperate can be achieved in the organisation through the processes of gamification, among others. Gamification, understood as the application of games and simulations, is a very attractive tool for young people and results in a boost of energy and motivation for joint work. This way, gaining new competencies and changes in attitude occur sooner and with less resistance to change. In 2016, Google completed “Project Aristotle”, which lasted for several years and was aimed at discovering what determines effective teamwork. After hundreds of interviews with employees and analysing 100 most effective teams, experts came to a conclusion that the best teams are those which respect each member’s emotions and opinions and are aware that the contribution of each of them into their joint work is equally important. Also Google’s former conviction that it is the number of outstanding members that determines the team’s success was revised. As it turns out, the way in which team members influence one another, creating new quality and new dimension of work together, is much more important than the composition of the team.